Matt Cutts can’t stand it when webmasters DON’T take full advantage of ALL the features WordPress affords its users. But don’t worry…He did recently share several tips and strategies for maximizing your WordPress site’s presence on Google so you can take full advantage of all that WordPress has to offer. I’m going to outline them for you here (and I’d like to point out that I started this article by using one of Matt’s tips for successful blogging: create a controversy – more on that a little later). First off, did you know that Google looks at over 200 characteristics when ranking sites? Most of us get caught up in the big three: keyword density, inbound links, and pagerank – when in reality there are many other features Google takes into account when ranking sites. 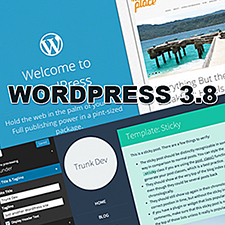 Throughout this article we will briefly cover just a few of the topics that Cutts touched on when speaking about WordPress a few months back. We all know the standard link structure for a fresh WordPress install where the end of your pages look something like this in your browser: http://mysite.com/?p=123. Matt contends that this is a complete waste of an opportunity to use relevant keywords. Since keyword density in your title tag, meta description, and body are so important, it lends us to believe (and confirmed by Matt) that actually adding the keyword to your URL so that instead your site reads: http://mysite.com/my-keyword-article-here will be much more beneficial than NOT having it listed there. Again, so much of what ranking well online is about is doing more than the next guy, and surprisingly enough, many people don’t take advantage of the permalink settings in WordPress. Instead of putting your article titled Setting WordPress Homepage at the link: http://mysite.com/setting-wordpress-homepage consider changing the verb tense for the link to: http://mysite.com/set-wordpress-homepage. Notice the use of the word SET in place of SETTING. This shows Google something I’m sure they are already smart enough to figure out, but YOU are taking the initiative in doing it which is an important point to remember in SEO. This is not a game of sit back and wait, it’s a game of take charge and go. It’s a guarantee that some potential visitors will use a different verb tense when searching Google, and this way you show Google your interested in THAT keyword as well. It’s a small change, but small adds up. Again, don’t waste an opportunity to TELL Google what you are trying to rank for by giving your category some obscure names. Also, keep in mind that dashes are best (my-keyword), underscores are second best (my_keyword), and no spaces is the worst (mykeyword). If I’ve messed up and not used dashes or even underscores, should I go back and reformat each post? For the last half of this article, I’d simply like to share some important quotes from Matt Cutts’ discussion on WordPress, and where appropriate, share some of my own thoughts and feedback. MATT: “Find something you’re passionate about, write often, pay attention to the mechanics, and don’t overdo it. Matt then went on to reference Katamari. I assume the takeaway is that here was a game developed with a relatively small budget by gaming standards that went on to achieve huge success and spawn the creation of subsequent games because they focused on simple fundamentals not hype, cutting edge graphics, etc (things that other game developers probably thought were MUST HAVES). We all know how that line of reasoning can carry over to the web. In the end it always comes back to quality over quantity. MATT: “If someone tells you there’s a shortcut and you can be the number 1 gadget blogger in 3 days and you can beat engadget and gizmodo, laugh in their face and send them packing because it doesn’t work that way. If you want to be the best gadget blogger, start off by writing about a particular type of phone. Provide a useful service, do original research, give great information, find a creative niche, write some code, live blogging, make lists, create controversy. If I had to sum up what it takes to become a successful web entrepreneur or blogger that last quote would be it. Matt touched on so many of the characteristics of those who are successful online in that one little sentence. Read it, then re-read it, then read it one more time! MATT CUTTS ON VIDEO: While discussing another topic, Matt slid this comment in that I thought was important to share: “Videos tend to rank really well on Google.” Take that as you may, but it comes straight from the horses’ mouth. MATT CUTTS ON ADSENSE: Matt shared the following code for Adsense users. MATT CUTTS ON WORDPRESS HACKS: To protect your /wp-admin folder, Matt shared the following code. I will caution you that I am not a doctor and this should not be taken as serious medical advice. Seek a professional’s opinion. Remember that you have to change the allow IP address to your IP and one major point of caution is that if your IP changes this could potentially create a problem. Done correctly, this makes it so that only YOU can access your /wp-admin folder. hm – looks like we have got a bit more tweeking to do on our blog. Obviously a lot more research first but thanks for the initial guidance – a few more late nights coming up! People get caught up in trying to somehow trick search engines into finding their sites and will waste their time finding the hundreds of quick fixes (that may or may not work) to do that. People should be paying attention to adding value to their sites. Simply changing the permalink structure like you were saying in your tip is one of the many real world ways to add value to your site (making your permalinks easier to use/navigate). What about using numbers as the starter of the permalinks for performance? Is it true? It looks ugly that for sure. What would numbers do to help increase performance? I’ve never heard that discussed before. Which is it Matt? Enter the “gray area of success” on the internet!